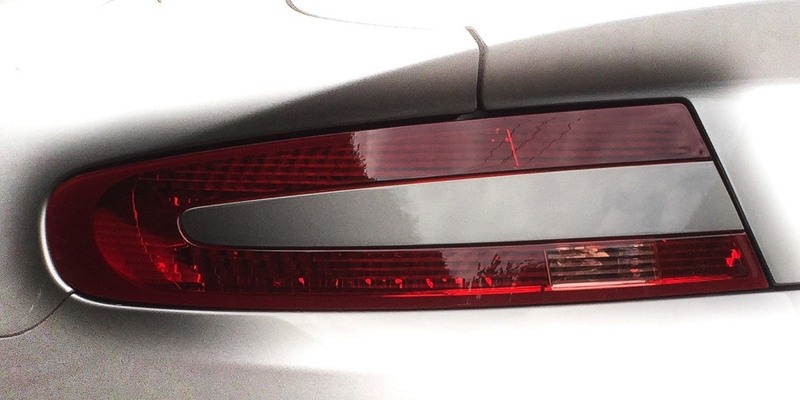 Water ingress caused by bad/defect seal, water is visible in the tail light. To rectify this, the tail light has to be taken apart to be able to reseal it. Quite a bit of a scary job as you have to heat it to 120 degrees Celsius to be able to separate the lens from the housing. Mail me if you want to know the full procedure. 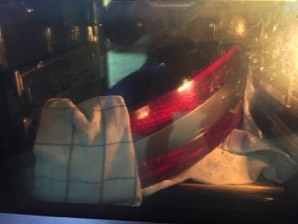 The image shows the tail light in the oven - frightening isn't it? Visible condensation inside the tail light is caused by a defective breather valve, humid air can enter the tail light. This is fairly common to happen. To resolve this problem you can install my system. 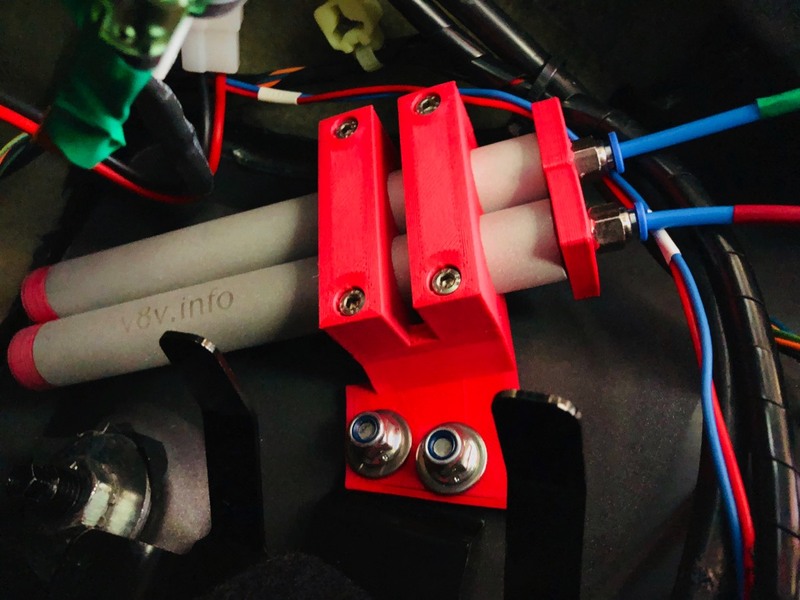 The breather valves get sealed and a small hose connector is mounted to the tail light housings next to the electrical connector. 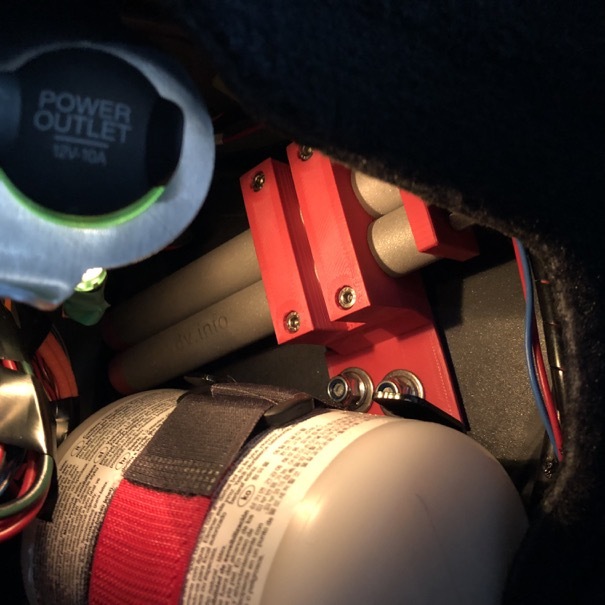 Small pipes are routed behind the boot lining to the room above the tire sealant where the drying unit is fixed with the existing bolts and connected. That is all - problem solved. With every temperature change the tail light breathes through the dryer unit and thus get dehumidified air back replacing the humid air. I installed my prototype in spring 2016 and it still performs perfectly. Normally the printed parts are black, here they are red for better visibility. My solution comes as a DIY installation kit but can also be installed by any mechanic as well if you prefer that way. If your model is not listed contact me for a special mounting solution.